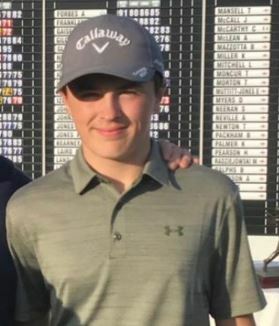 Doncaster golf club’s Josh Berry became the 2018 Junior European Open Champion at the Alcaidesa Links in Cadiz Spain. After 5 rounds of golf his final 4 under par round of 70 put him one shot ahead of his nearest rival. First staged in 1993 and now in its 26th year it is widely considered as the toughest test in junior golf across Europe. Josh had qualified at Garforth GC by winning one of the 42 qualifying events. Current world No 1 Justin Rose and former world No 1 Luke Donald, 2017 Masters champion Sergio Garcia, and our own European tournament champion Nick Dougherty, have all been finalists in the Junior European Open in the past. The Junior European Open which is held in Association with Sky Sports will be on Sky on the 16th December. Congratulations to Josh on a great achievement.